Warm Coats for Winter Needed! We are collecting clean, warm winter coats and accessories to provide for our St. Louis Park neighbors in need. STEP will have coats available to guests in October, however, due to space limitations, it is requested that collected items be delivered to STEP in September. All ages and sizes of Coats/Jackets* and Accessories are needed. *Please only warm winter coats–no lightweight jackets or vests. 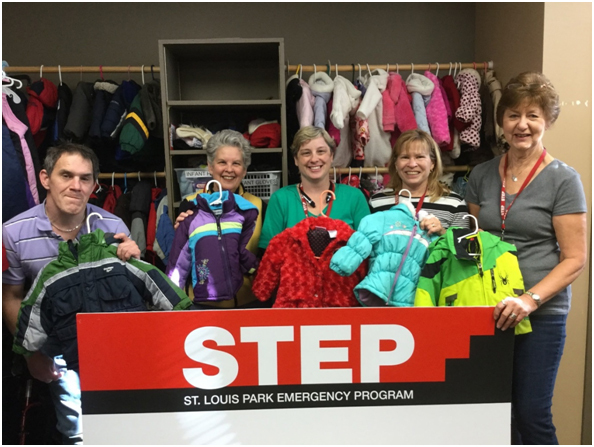 Thank you for helping to ensure that everyone in St. Louis Park will be warm this coming winter! *Please only warm winter coats, no lightweight jackets or vests. STEP collect holiday toys during October, November and December. Toys can also be purchased through Amazon and Target. For Amazon and Target you can buy your holiday toy donation online and have it sent directly to STEP! Click on STEP’s Amazon Wish List or STEP’s Target Wish List to be directed to STEP’s page. Infants/Toddlers: Colorful toys that stimulate the brain; bouncy seats, trucks, multi-cultural dolls, and building blocks. Ages 4—7: Toys that encourage creative play; dress-up clothes, Legos, Num Noms, Trolls, Finding Dori, multi-cultural Barbie Holiday dolls. Ages 11—18: Children in this age group will be given Target gift cards. Values of $10, $20, and $30 are needed. Please donate your new toy or gift card no later than December 14. 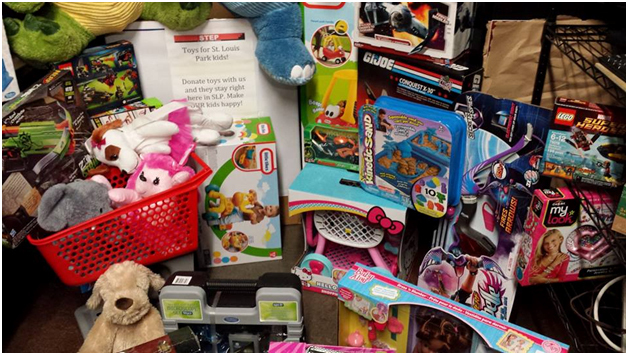 To help us better sort toys, attach the retail value of each item you donate. Purchases in the $20 to $40 range are ideal. Please note: For more ideas, go to our website. STEP does NOT need stocking stuffers, decorations, make-up, violent toys, balls, or used toys. Drop your toy donation off at STEP. To help us sort toys, attach the retail value of each item you donate. Purchases in the $15 to $40 range are ideal. STEP will be accepting toys up to the first week of December. 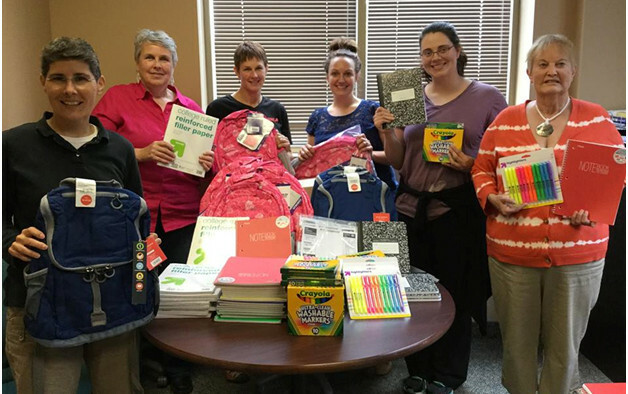 School supply donations are accepted during the months of June, July and August. STEP packs a bag for each registered St. Louis Park child based on the supply list for their school and grade. School supply donations should be donated to STEP by August 16, 2018. Click on Amazon School Supply Wish List and Target School Supply Wish List to donate supplies online. Items purchased online will be sent directly to STEP. Donations can be dropped off at STEP at 6812 W. Lake St. in St. Louis Park. For more information, please call STEP at 952-925-4899. 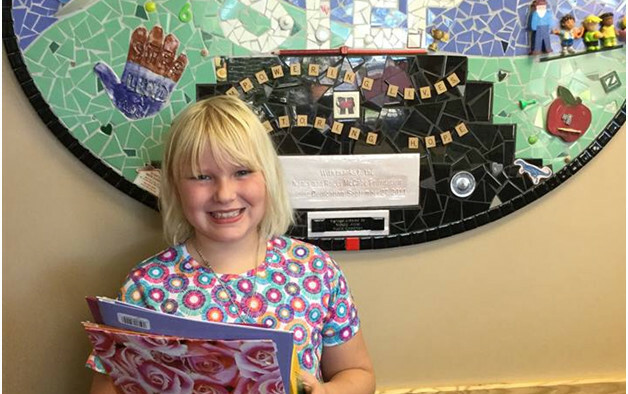 Greta who collected 3 bags of school supplies at her birthday party. 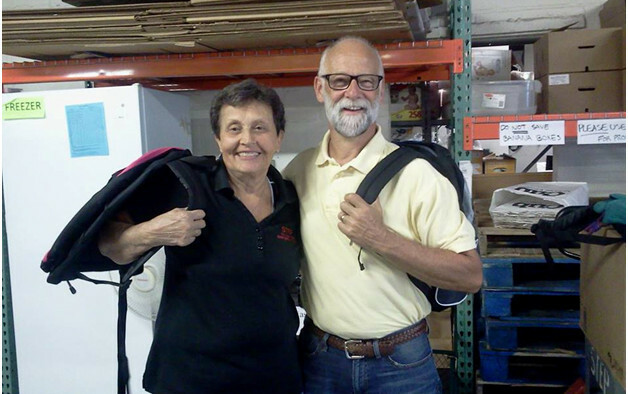 Security Life community involvement team 50 backpacks and supplies for over 50 St. Louis Park student.